A metal project by Keith Pearson haling from Bristol in Connecticut, Piercing Immortality has recently launched a three-track EP titled ‘Systematic Global Poisoning.’ Pearson spoke for Prog Sphere, and below is what he had to say about the music on the EP, as well as his opinion on technology in music, and more. Define the mission of Piercing Immortality. To continue to grow as songwriters and to reach as many people as possible and to maintain a strong and loyal fan base. Tell me about the creative process that formed your EP “Systematic Global Poisoning” and the themes it captures. I would come up with a riff, lay it down on my computer and listen to it. Then try and feel how the next riff would go and would continue in this way until the song felt like it was completed. Then I would show the structure of the song to John (drums) and he would write his drum patterns to fit the riffs. After the songs were structured lyrics were easier to write. What is the message you are trying to give with “Systematic Global Poisoning”? That there are all forms of global poisoning. Whether it be social, chemical, environmental, religious, or political. Getting people to be more aware of what is going on and around them. I would record the band practices to my computer and get rough demos. That way I would get an idea of how the songs were going to be. Yes they are because I want the end result to be able to have a flow to the music and I want to be happy with it as well and for it to have a replay value to it so that people will want to listen to it over and over again. Describe the approach to recording the EP. Me and John went in first and recorded in the same room as if we were jamming together and went about doing my scratch guitar tracks that way. I then went and then recorded my guitars and bass tracks. Then Scott (Vocals) came in and did his vocal tracks along side his wife Jeanne who provided background vocals. My guitar solos were the last to be recorded. How long “Systematic Global Poisoning” was in the making? I would say that it took about 4 months to complete the EP. Death, Carcass, Dissection, At the Gates. If it helps you achieve your creative goals then so be it. But I feel as though people overuse today’s technology to saturate what creative ideas the originally had. To film a video for one of the songs on the EP and to also continue to promote it while also getting started on our full length to get it out for next year. 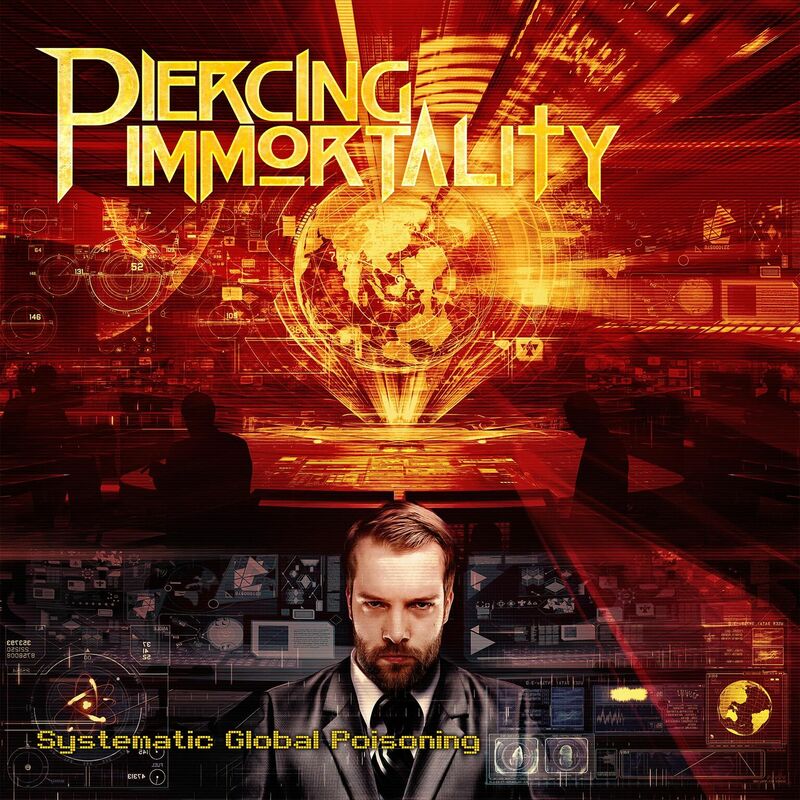 For more information about Piercing Immortality visit the project’s official website.